Find everything you need to know about majors, certificates, and training programs at Fresno City College. 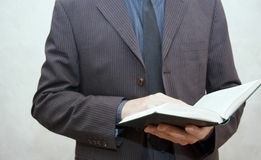 We offer Associate of Science (AS) and Associate of Arts (AA) degrees. Many of our degrees include a guaranteed transfer to four year institutions - Associate Degree for Transfer (AST and AAT). Our Police Academy is renowned for its offerings for cadets as well as professional growth. Our Fire Academy was founded in 1992 and is rated as one of the number one Fire Academies. The Career & Technology Center offers several training programs ranging from 20 to 30 weeks. This is perfect for hands-on application and to be ready to work in the industry within weeks. The Applied Technology Division offers an AS degree in Automotive Technology and several certificates for those who need college credit including GM ASEP. The Career & Technology Center's Industrial Program offers two trainings: Warehouse Technician that can be completed in 12 weeks, and the Maintenance Mechanic which is a 30-week program. The Career & Technology Center (CTC) provides training based upon industry needs at a low cost. No high school diploma required. Includes job placement services. The California Professional Nutrition Education and Training Program (Cal-Pro-NET) Center offers programs for child nutrition professionals in child care centers, day care homes, adult day care centers, emergency shelters, and afterschool care centers. Courses are online or self-study and meet the requirements for centers participating the Child and Adult Care Food Program (CACFP). 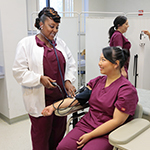 The registered nursing program is the largest community college nursing program in California and the second largest nursing program in the United States. Students who complete the program earn an Associate of Science degree and are eligible to take the National Counsel Licensure Examination for Registered Nursing (NCLEX-RN). The nursing program is for those who want to become registered nurses (RN) as well as licensed vocational nurses (LVN). CTC prepares students to perform a wide range of diagnostics, repairs, and preventative maintenance on automobiles and light trucks. This 30-week program provide hands-on training in engine overhaul, manual and automatic drive train, front end alignment, brake service and repair, fuel systems, ignition systems and air conditioning. The General Motors Automotive Service Educational program (GM ASEP) is a two-year associate degree program. It incorporates the most advanced automotive technical training with a strong academic foundation. The curriculum is certified by the National Automotive Technicians Education Foundation (NATEF) and General Motors Corporation. Registered Dental Hygienists provide dental health education, expose and process dental radiographs, and protect both the oral and systemic health of their patients. Graduates from the program will be eligible to take the National Board Dental Hygiene Examination and State or Regional Licensing Examinations. State Center Community College District (SCCCD) offers various study abroad opportunities through the Fresno City College, Reedley College, Clovis Community College and North Center campuses. These programs are developed, coordinated, and led by faculty at the campuses, and cover various areas of study and different locations throughout the world.